Benefits: Wearer of this rudraksha is blessed with success, improved memory, awakened kundalini and increased wealth. 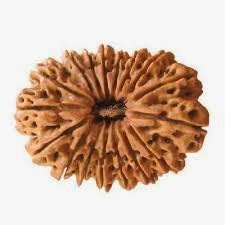 This rudraksha is very useful in attaining material comforts like property and vehicles. Seventeen mukhi fulfills all desires related to getting a suitable partner for marriage, progeny, wealth and prosperity. Who Should Use it: People who wish to attain prosperity, wealth a good life partner and progeny(children). Those who are suffering from headaches, sinusitis and other ENT problems. Apko Rahu ka yantra, ek panna aur 10 mukhi rudraksha pahanana chahiye.